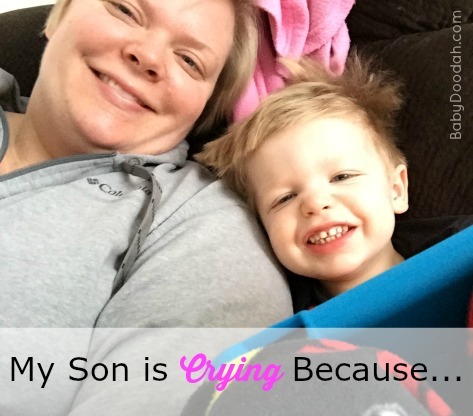 New Feature: My Son is Crying because... - Baby Doodah! He wants to push his Fisher-Price Lawn Mower and I said after nap time. He woke up, and asked to go play with his lawn mower, I told him, we had to put on our shoes. I’m hoping to make this a pretty regular feature. As soon as I have another good batch of funny sayings or situations, I’ll add them to the list. What funny things has your toddler / young child said, that made you giggle or was just crazy, off the wall? hahahaha LOVE these!! I’m particularly fond of the, “he cried because I looked at him.” lol Toddlers! Thank you for visiting!